The trees at the nearby cherry orchard are starting to blossom and we set our clocks back this past weekend--sure signs of spring! 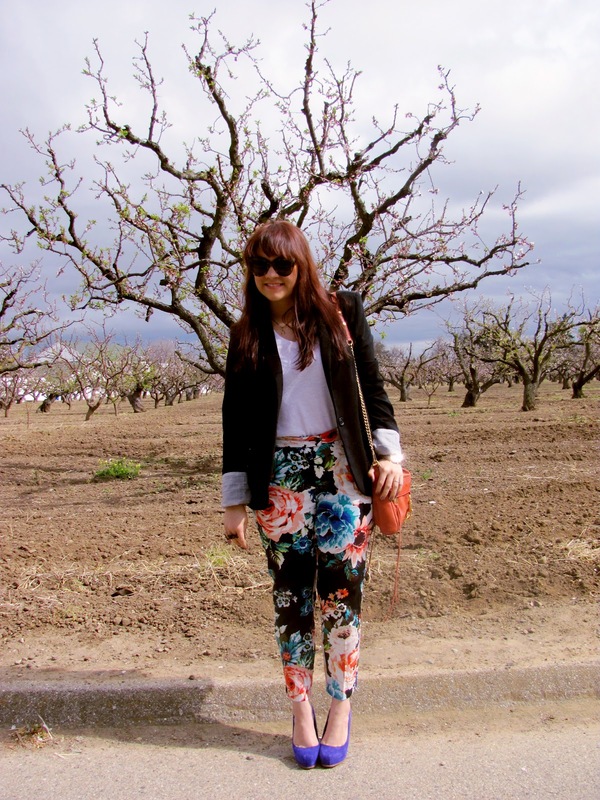 No better time to break out the floral ankle pants I hunted down at from H&M! I'm really feeling the floral print! I sort of wanted to wear every single color possible with these, but I opted to keep it on the tame side and pair them with a colorless shirt and jacket. I brought a bit more color in with my matchy accessories. What sign of spring do you most look forward to? Love the trousers - I have the blouse in that print, I think the colours are great. 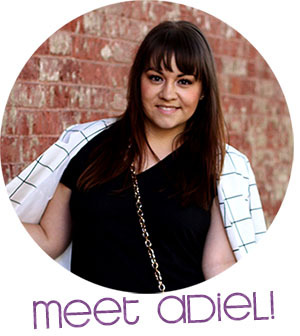 I LOVE these on you Adiel! I am majorly on the hunt for a similar style!! You are wearing them well and I just love the pops of colors in the shoes and bag! LOVE LOVE LOVE the pants. I saw them at H&M and was crazy for them! My favorite sign of Spring in NYC is the arrival of the soft serve ice cream trucks...and the trees blossoming. I loe how you paired those shoes with the pants--perfect. Ahh I want those pants soooo bad but I'm not shopping for clothes until April. I saw these at H&m the other day and almost broke down. Soooo pretty! O.M.F.G. girl! Those pants are so perfect on you. The size of the print is exactly right and the colors are almost as vivid as you are. I would be tempted to go extremely crazy with those but I love the way they really take center stage with the more muted blazer. Because I live on the water right now, the sign of spring I'm most looking forward to is boats getting unwrapped and moving from the boat yards to the docks. I agree! It looks good on every garment they made with it! Well done, H&M! Thank you so much, Amanda! You're too sweet! Right!? So affordable! You should definitely get the floral ones! And I may go back for some solid colors because I like the fit! Thanks, Margot! I'll bet they'd look so cute on you! Thanks, Jennifer! You should definitely snag a pair! Thanks, Sasha! Especially for sharing your favorite signs of spring! I want some soft serve right now! Welcome, Britt! Always pleased to meet new people through my blog! Especially when they're as sweet as you! I definitely recommend you get the pants, they're only $15! Thanks for sharing your favorite sign of spring! Having never lived near the water, that is one I wouldn't have thought of! Too fun! I love those pants! You're such a stunner!